Looking to use signature capture devices with your OpenBravo POS? Ingenico and Equinox terminals are compatible with our integrated payment gateway. 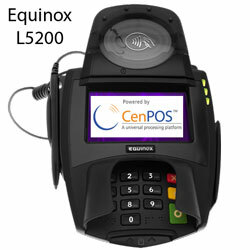 Equinox L5200 is a feature rich signature capture terminal among the lowest cost and high reliability. Equinox was formerly known as Hypercom, the number one terminal brand in US. 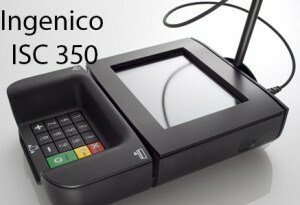 The Ingenico isc350 has a large glass screen and bigger footprint than other units. Stand with angled base is recommended. Older products supported but end of life has been announced include the Ingenico i6580, Ingenico i3070, Hypercom Optimum L4250, Verifone Pin Pad 1000se. Other compatible options include Magnetic Card Swipe reader and mobile card readers. This entry was posted in CenPOS, Equipment-POS and tagged Equinox, ingenico, OpenBravo, POS, signature capture by Christine Speedy. Bookmark the permalink.